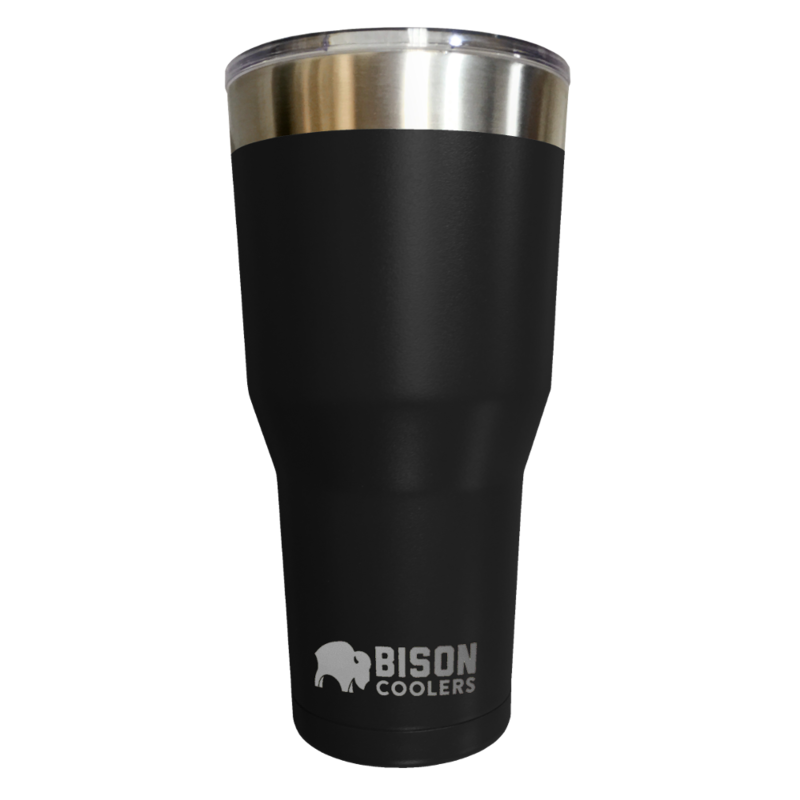 Ready for your piping hot coffee, ice cold water/tea, frosty beer or any other other hot or cold beverage, the Bison Tumbler 30 oz doesn’t discriminate against any beverage. Similar to its little brother, the 20 oz Bison Tumbler, it’s made from durable 18/8 stainless steel and features double-wall, vacuum insulated construction. It keeps cold for 12 hours and hot for 6 hours! The 30 oz Bison Tumbler screams durability and quality. Set yourself apart from the rest of crowd with black, lime, sand or pink powder coating. A clear, shatter-proof lid prevents big spills and keeps your drink cold or hot for longer. With 30 ounces of capacity, it’s the perfect drinking mug for any beverage. Call it a tumbler, coffee mug, water cup, tea glass, beer mug or whatever you want. Just pour your favorite beverage in and enjoy for hours. Imported.